Fill your diets with red foods over the next week. Think beyond the typical apple and tomato and experiment with pecans, buckwheat, beets and red kale, spinach or cabbage. 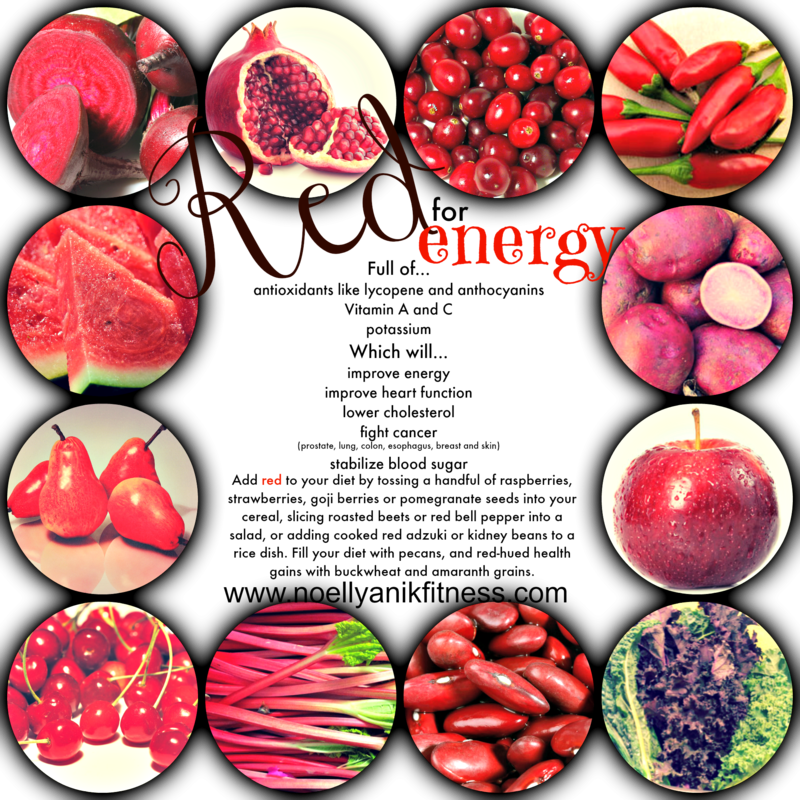 Red foods are full of antioxidants (lycopene and anthocyanins), vitamin A, D and potassium which will improve your heart function and make you feel more energized! Thats right, I said you’ll feel more ENERGIZED! So jump on the red food bandwagon and think about how you’re going to get this hot and lively color into your diet today. Here is a visual with red food suggestions and a little more information too (like the fact that red foods prevent heart disease and certain cancer’s and they lower cholesterol too). Its good stuff. Eat up!